A little while ago Mecca sent out their beauty catalogue to their customers promoting their new products and celebrating the customers choice "Mecca Beauty Elections." In the catalogue they featured a new brand (to Australia) called 3 More Inches. I was immediately intrigued since I'm trying to grow my hair as long as it can. It's created by celebrity hairstylist Michael Van Clarke and like the name suggests, it strengthens your hair to get it in healthy condition so it will grow longer and stronger. I have to admit I was a bit scared when I went to search for "3 more inches" but luckily we have a family friendly internet filter to stop any scary searches from coming up!! When I went searching for reviews from the range, I found that nearly every review mentioned their love for the Pre-Wash Treatment. The shampoo & conditioner seemed a bit hit and miss from what I read, but I'm happy with my bHave shampoo & conditioner so I thought that I would skip buying them. When I was searching for reviews I came across their leave in conditioner. Sadly Mecca don't stock this (along with some of their other styling products) so of course I just had to have it. I found the range on Look Fantastic and even though I haven't purchased from them before and they're halfway across the world, I thought that it was worth buying from them. I also ordered the Pre-Wash Treatment as it's raved about. I'm really loving pre-wash treatments/oils at the moment. I find them a lot easier to use as I'm never quite sure if one of my daughters will come and interrupt my shower so it's great getting the benefits of a hair mask without worrying about using one and having to get out mid shower. I normally apply a pre-wash treatment to my hair after getting out of bed. I put it in my hair and keep it in a bun so my pjs don't get messy. Then I let it work it's magic while I'm getting the girls ready. That way it's in my hair for anywhere between 20-60 minutes before I get to have my shower and wash my hair. I use this pre-wash treatment every second wash. It's a cream, so i like that it's not messy like other pre-washes that I've used which were oil based. 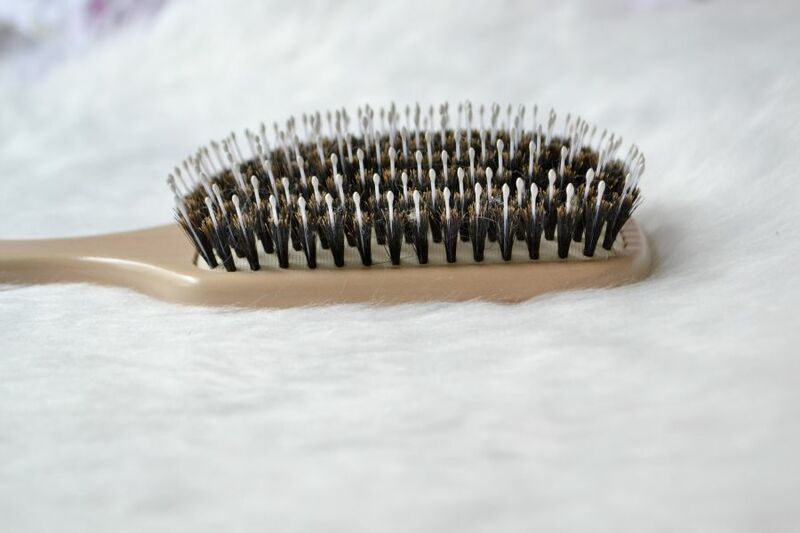 I bought the 3 More Inches Large Bristle Paddle Brush, as a good hair brush will do wonders for the health of your hair. 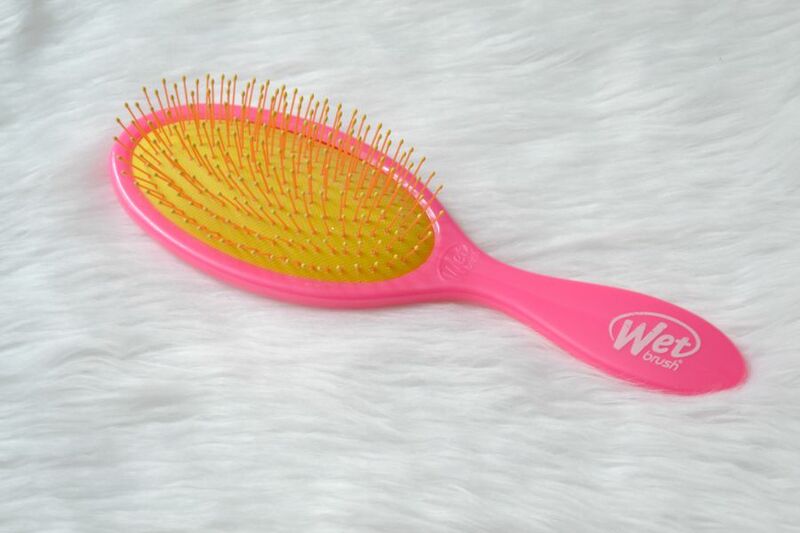 It has ball point ends on the bristles to help you detangle your hair and massage your scalp to encourage hair growth. I adore this brush!!! It's quite pricey ($58 at Mecca, $59-$64 from Look Fantastic depending on the exchange rate) but it's worth every cent. It makes my hair look glossy, soft and smooth. I have to say, Mecca have really great price matching but they don't have the whole range so if you're in Australia and want to buy any of these, do a price comparison first to see which is cheaper. Beauty Bay do have them cheaper than Mecca or Look Fantastic, but I've heard some bad things about Beauty Bay (their Facebook wall is full of complaints) and didn't think the extra savings would be worth it. My 4 year old has long hair all the way down to her back. She was lucky enough to inherit her dads quick hair growth but sadly inherited my tangly hair, so I ordered a "Wet Brush" for her. She's very girly and of course when I asked her what colour she wanted she picked the neon pink brush. 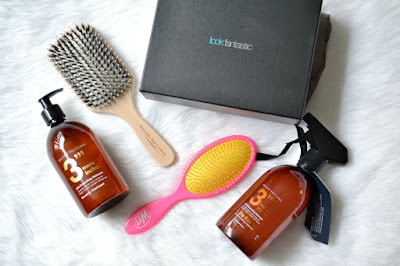 It compares similar to the Tangle Teaser and the Macadamia No Tangle Hair Brush. For Adeline's hair I find the Macadamia brush much easier to use because it has a handle but I've had it for over a year now and have found that it's becoming less effective due to being used so much. I like The Wet brush, but it doesn't live up to the hype for me. It gives the same results as the Macadamia brush, but the most noticeable difference is the fact that the bristles are very flexible so it doesn't pull and hurt as you're detangling. With that being said, I do sometimes find that if it's a big bundle of tangles, then the firmer bristles of the Macadamia brush are more effective. I do use this first thing after getting out of the shower. I've found when I try to use it with a leave in conditioner it doesn't work as well. So I use it to get out tangles then I apply styling products and dry the hair. They had a some amazing deals on when I placed the order. The first deal was when you spent over £70 you got one of their May Look Fantastic Beauty Boxes worth over £53!! The next deal was when you spent over £55 you got a free Kebelo haircare set worth £42 ($84AU). 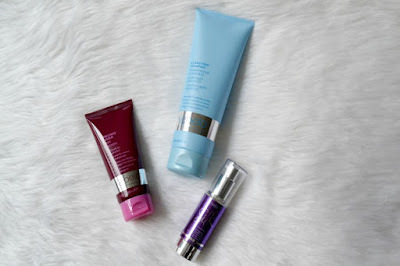 In the set they had a Clarifying Shampoo (250ml), Enriching Masque (100ml) and Silk Cream (30ml). All 3 products are full size which is amazing!! I've never heard of the brand before but am looking forward to trying them out. 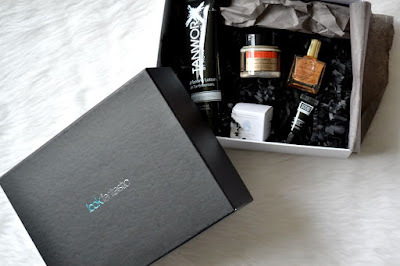 I googled "Look Fantastic coupon" and found a coupon code for 20% off (I found it here), which surprisingly I could use with both the beauty box and Kebelo hair set!! This saved me $36.17 (about £17). It also automatically added 4 Dermalogica samples to my cart. Now I normally HATE paying for shipping. Look Fantastic offer free shipping to Australia but it's not trackable. Because I've never ordered from them and couldn't find many reviews about their overseas shipping, I decided to pay $23.99 (ouch!) for trackable shipping. I ordered on the 7th June, it was dispatched the following day and I received it on the 19th June. Overall I was really happy with the Look Fantastic service. I'd recommend them and will purchases again in the future. I'd recommend signing up to their newsletter as they do new specials every week and you can always get a GWP or discount coupon using the link in the email! Have you ever bought from Look Fantastic or from Beauty Bay? Did you have any issues? I could imagine the concerns when searching for that hair brand haha! It sounds like a nice product, hopefully it works for you in the long run. I always wondered what Look Fantastic was like when it comes to delivering to Aus. I'm surprised how quickly it arrived! You picked up some great goodies, hun. I love the sound of it, and especially love that the pre-wash is a cream so you can leave it in while you're doing your chores etc, without getting too messy. I've been so slack about deep conditioning my hair now that's it winter and my flat is an icebox! PS- I had a giggle at your trepidation at googling the name of the brand!